The species you find in Parque Tayrona are also possible to find in Caoba and surroundings, but without the tourists and more diversity in a small space. 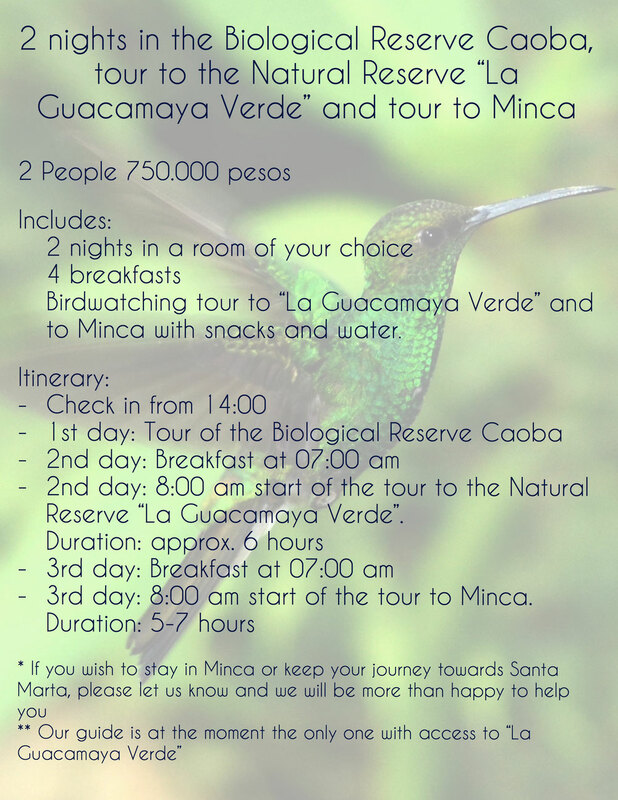 We offer different types of tours, from a full day including trekking to Minca to a half day in Caoba or visiting the Biological Reserva "La Guacamaya verde". This reserve is owned by a german ornithologist and its a very secluded and private reserve only possible to get there by foot. Drop us an email or give us a call and we can work on a customised package. 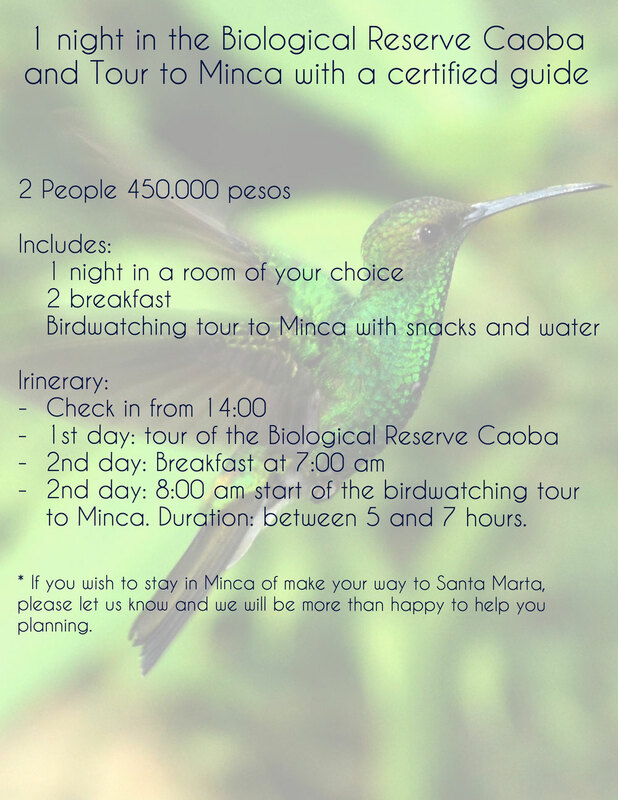 The tour is in Spanish with a professional Birdwatching guide who knows the region very well and has also a broad knowledge of medicinal plants in this area. *Due to low network coverage, we recommend sending us an email or WhatsApp if you are not able to reach us. *Por motivo de escasa señal de celular, recomendamos enviarnos un email o WhatsApp si no nos localizan. * Aus Netzwerkgründen, empfehlen wir uns eine Email oder eine Nachricht via WhatsApp zu schicken, sollten Sie uns telefonisch nicht erreichen.